If you love the platforming antics of Celeste, and also happen to love Nintendo's loveable joyball Kirby, then you're almost guaranteed to get enjoyment out of this fan-made project. A team of modders have taken the original Celeste release - a prototype that formed the basis of the full thing we know and love today - and replaced protagonist Madeline with Kirby. 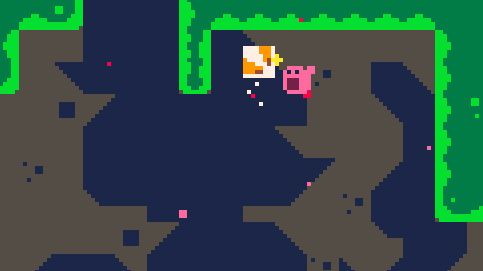 As you can imagine, the game gets considerably easier when you can float around and inhale those pesky strawberries, but it's a fun little thing to play. We've had a quick go ourselves - you can play it too right from your internet browser - and it's surprisingly good. 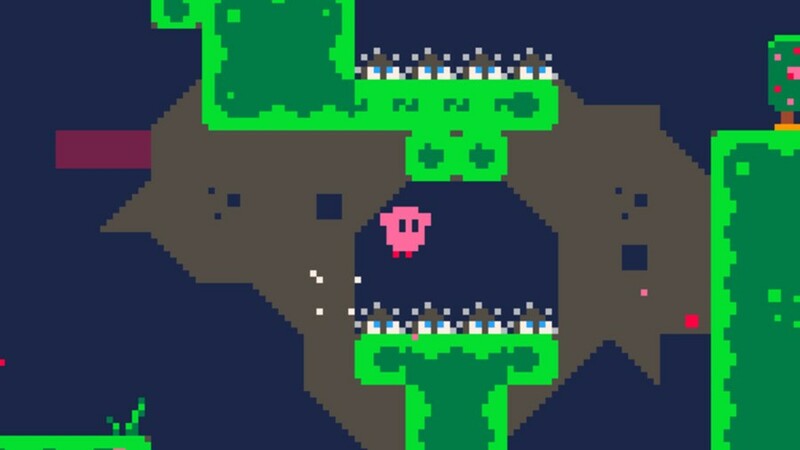 A remix of a classic Kirby tune helps, but flapping around as our favourite pink blob in Celeste's world is strangely relaxing. The team explains the reasoning behind the project on its Itch.io page. "This is an idea that started as a joke during Episode 46 of You’re Too Show, a podcast where we look for depth and hilarity in kids' media. We’ve been talking about Kirby: Right Back At Ya! and were struck by a scene in which Kirby falls asleep while fighting. Metaknight says that Kirby’s freedom from anxiety is his greatest strength. We were like, “Whoa! That reminds me of the feather scene in Celeste. Wouldn’t it be funny if…?” And then we realized it was actually a cute and thematic idea, and put it together over a few weeks as a side project." We particularly like the project's name, too. As fans of puns and clever uses of language ourselves, we give a strong 10/10 to whoever came up with the name 'Ingeste'. Good work. Played it for a bit, and yes, awesome! Very relaxing, but it indeed lacks a bit of a challenge. Man I hope the Celeste team consider this as future dlc, would be fun! Hahah. Might give this a try. I assume this is the same version you can unlock in Celeste, that 8-bit pico thing? (The unmodded version I mean.) That in itself was an entertaining side game within the main game. I think the concern is that Nintendo will take it down, not the Celeste devs. @Bunkerneath I am assuming they are referring to Nintendo being the problem, not the Celeste developers. It’s sad that you don’t know the difference. The next indie collaboration! It is going to be weird seeing Kirby getting shreddered in SMF though. Man that would actually be hilarious. @Bunkerneath There's a ton of mods of Celeste Classic. 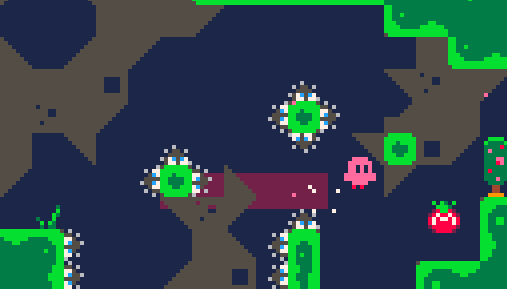 Games made with the PIco-8 engine are Open Source via the engine. 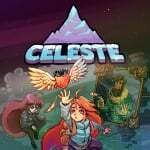 So taking the game down, at least regarding reasons related to Celeste, won't happen.